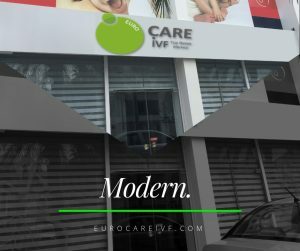 The fertility specialists at euroCARE IVF in North Cyprus are committed to providing you with the highest-quality of care you should expect and — most importantly deserve. As the top fertility clinic in Europe, we have become a leader in providing IVF treatment and advanced fertility care to patients across the globe. euroCARE IVF is proud to have an extraordinary team of fertility doctors and professionals that collaborate frequently with the goal of providing the best fertility care for each patient. Led by Dr. Armağan Ulubaş, our expert IVF team is internationally recognized for successful In-Vitro Fertilization (IVF) cycles, leading embryology department, and the diagnosis and treatment of female and male infertility. Our unique, transparent IVF program in Cyprus thrives from a group of professionals working together towards a common cause — helping you achieve your dreams of parenthood. In vitro maturation (IVM) is a technique that incorporates retrieving immature eggs from the ovaries, then maturing the eggs in our modernized lab — all leading up to our distinctive IVF process. While we do not offer IVM treatment, it is our goal to keep you educated on the various treatments available today. IVM is an option for women who have regular ovulatory cycles, who do not want to have hormone injections to stimulate egg production, or for women who have had poor response or side effects from previous hormonal treatments. IVM is performed when follicles reach the antral stage. First step of IVM is retrieval of immature eggs from unstimulated or minimally stimulated ovaries of the woman. If without the use of FSH priming, oocytes are obtained when the largest follicles are around 10mm in size. Depending on whether you are aspirating mature or immature follicles, the protocol differs slightly. In both procedures the aspiration pressure is reduced, but to varying degrees. Cumulus cells play a crucial role in egg classification. Cumulus cells (CC) are types of surrounding cells that provide physical and nutritional support for the immature eggs. The development and maturation directly depends on the interdependent relationship between the oocyte and cumulus eggs. This bi-directional feedback provides insight for doctors to select high quality eggs. Harvested egg are then cultured in media containing nutrients such as gonadotropins, growth factors and steroids important for egg growth. Once the eggs are matured, they can then be fertilized in a procedure called In vitro fertilization (IVF) or Intracytoplasmic sperm injection (ICSI). Minimal ovarian stimulation which reduces the costs of invertility treatment, and avoids the risk of ovarian hyperstimulation syndrome (OHSS). IVM outcomes are currently comparable in safety and efficacy to those of conventional IVF. IVM has been applied mainly in patients with polycystic ovary syndrome (PCOS), but application of IVM has further expanded to other situations, such as fertility preservation. IVM is used as an alternative ART procedure to reduce or eliminate disadvantages of controlled ovarian stimulation (COS), such as costs or side effects. For patients undergoing IVM, the risk of ovarian hyperstimulation syndrome (OHSS) is virtually eliminated.